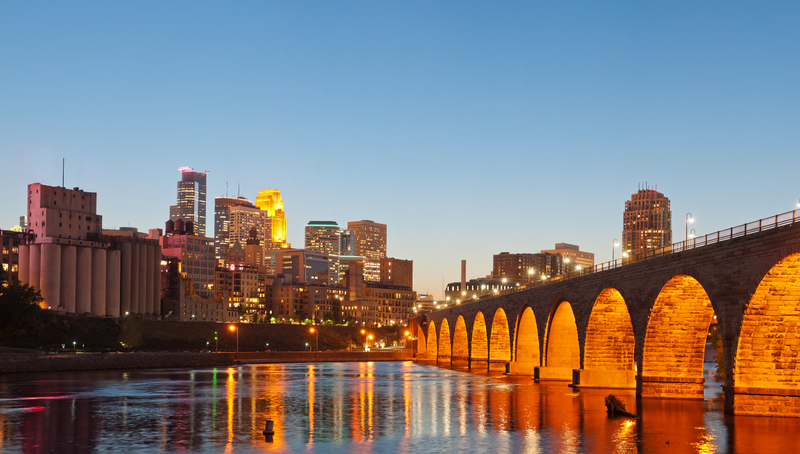 ITDirections is a technology consulting firm with offices in Minneapolis and Phoenix. We provide a practical roadmap for IT transformation and offer independent, unbiased advice based on your needs. As seen in our service offerings, we have a broad base of capabilities to help mid-market and enterprise organizations. We help CEOs who are wondering how to leverage technology to create a competitive advantage and improve the effectiveness of business processes. We work with executives that want to understand how their IT capabilities and spend compares to industry benchmarks. We assist CIOs who are transforming their IT departments to provide more value to the business. We help companies select the best software and improve the success of their IT projects. We are engaged when executives know that they need to make a change but don’t know where to start. Our senior consultants are recognized authors, speakers, and industry experts who have 20+ years’ experience and have earned reputations for high-quality service and results. I have worked with Anita Cassidy and Barb Zimmerman for many years and in various projects. Their expertise in strategic planning, IT organization assessment, software vendor selection, and vendor management cannot be matched. In today’s business environment, where technology is the critical piece to maintaining a competitive advantage, Anita and Barb each bring unique skill sets and leadership to guide any CIO, business executive, and IT organization through the wave of challenges that must be overcome to be successful. I highly recommend ITDirections. 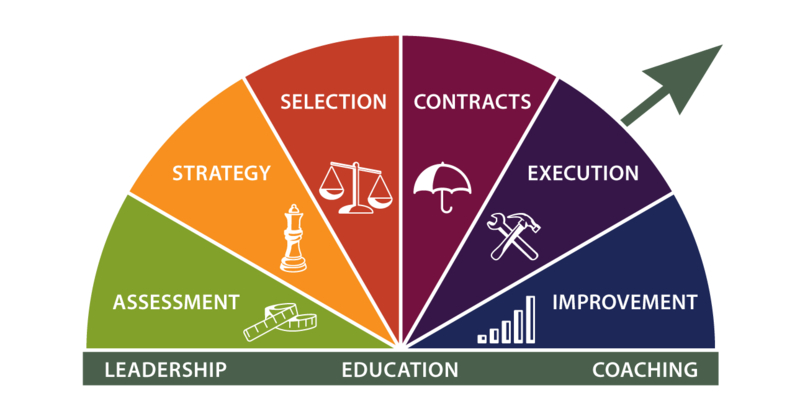 Merrill has used ITDirections for a number of strategic and tactical projects over the past six years. We have never been disappointed in the resources or quality of work completed…. The combination of their business acumen balanced with the deep technology skills helped us to make the right business decisions…. IT Directions has guided us from assessment, selection, design, and pilot to the point where very shortly we will see the 5th and 6th AmeriPride branches go live on ABS. I personally want to thank David for his outstanding contribution to the project’s success. I will miss his knowledge, advice and friendship – David thank you for all that you have helped us accomplish. Barb’s experience during product selection and contract negotiations were keys to ensuring AgStar obtain the product most aligned to our business needs and within the proposed budget. We very much appreciate the strong relationship we have with IT Directions. You were really, really tough, but fair…[The client] has the benefit of having thought this through to the Nth degree and that makes for a more successful implementation all around. Barb Zimmerman helped us many times at Life Time Fitness with software selection and contracts negotiation across several business units. Her work is insightful and thorough—she understands all the major functional divisions and knows how to bring clarity to complex decisions. Having been in this industry for many years I’ve worked with dozens of consulting groups, firms and individuals, and I want to take a few minutes to let you know that I (we) feel that the work you did on behalf of Smarte Carte, Inc. was second none… Win or lose, I believe IT Directions raised the bar on how to properly and professionally manage an application evaluation, and that is speaking from experience. “[We have] worked with many consultants during my eleven years with the company. Our experience has ranged from terrible to good. You have surpassed the good by a wide margin. We obtained more value-add from this consultant than any other we have used in the past. The IT Directions consultant was extremely thorough. Consultant brought a depth and breadth of knowledge of not only IT functions, but also a comprehensive knowledge of business, which helped us dovetail our IT strategy with our business strategy. Her organizational, team building and problem solving skills kept us focused and moving forward. Her input and participation were invaluable to our organization. Data was credible, well-received and invaluable. The approachable style, genuine interest in others and thoughtful inclusion resulted in a project that was embraced and supported by the entire team. You’ve given us a road map, challenged our thinking, helped us discover new ways to evaluate our technology investment and affirmed that we are on the right path. You raised challenging issues and we will be better because of it. You’ve found a way to provide us with an immense amount of data in a well-organized and easily understandable way, even for us non-techies. Consultant organized the chaos surrounding the IT group. She identified the needs, prioritized tasks and got us on track, enabling the organization to start focusing on process/business improvements rather than reacting to issues. ITDirections delivers on its name, helping companies determine where to focus time, energy and limited resources. The results are tangible, providing real benefits that are aligned and clear. Consultant is knowledgeable in both business and IT and demonstrated the ability to apply that knowledge in a practical manner. Strong skills in assessment, planning, and designing solutions. Supports work with leading edge examples and references. Works in a quick manner. Definitely a value add. She provided a framework and tools, but more importantly also provided guidance, encouragement, and a wonderful perspective on the IT industry. The strategic plan we developed was instrumental in developing credibility for the IT organization and gaining buy-in from the Board of Directors on the current state of IT and our future direction. Consultant has provided valuable insight into the next steps that were required to grow. She generated the blueprint for an IT Strategy and customer feedback loops. Consultant’s wisdom and professionalism had a lasting impact on the people she worked with. Consultant’s approach to developing an IT Strategic Plan is extremely comprehensive. Her approach to soliciting information for the Strategic Plan is well organized. She has an incredible ability to process significant amounts of information and present it in a very concise manner for a diverse audience. She clearly exceeded my expectations for tolerance and patience. This was a very rewarding exercise.